In the annual ERP special edition published September 13, 2016, CIO Review recognized Agility ERP as one of the “20 Most Promising ERP Solution Providers.” CIO Review interviewed Agility ERP cofounder John Fandl to learn what our customers already know – that iterative and adaptive methods are superior to conventional approaches in achieving rapid and sustainable success. 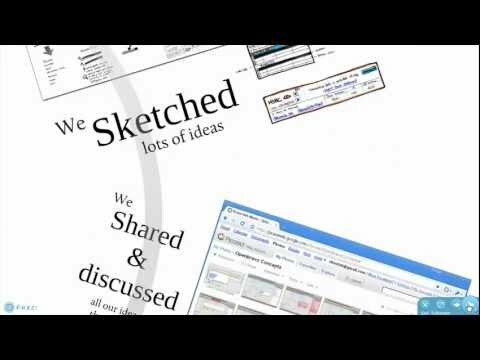 This brief video covers some usability and interactive design principles that went into the creation of Openbravo version 3 - a third generation web based, commercial grade Open Source ERP system released in 2010. 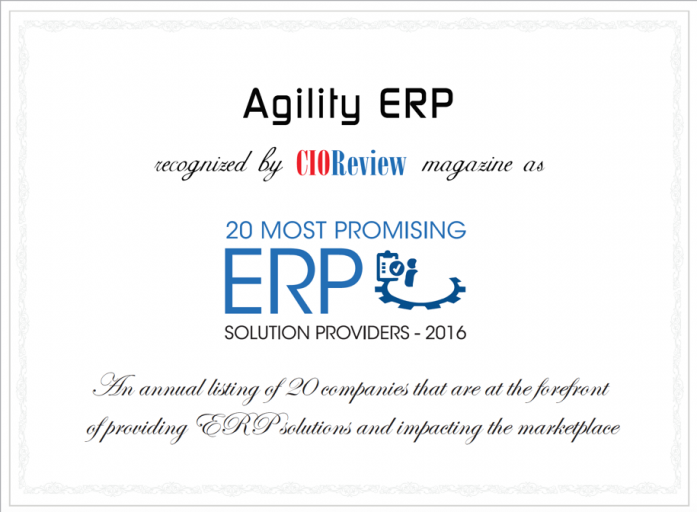 Openbravo is at the same time a state-of-the-art web based application as well as a mature and proven ERP system. In addition, you can use Openbravo as a base platform to rapidly build and deploy custom enterprise applications. This 30 minute tutorial style video can be used to quickly learn how to use and navigate the Openbravo user interface. 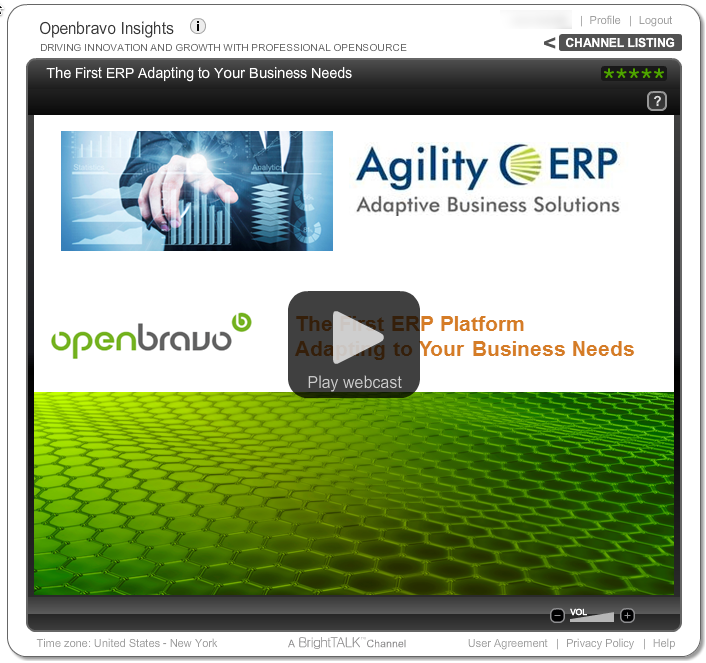 This video was created by John Fandl of Agility ERP and covers the bases so you can navigate, query and enter transactions in Openbravo. It is a great starting point for new users to become familiar with Openbravo navigation and use. A brief  tutorial that teaches you about the Openbravo 3 Audit Trail feature, including a functional demonstration, a list of configuration steps, and a discussion of the business benefits.